Black Pink set another record as a K-pop girl group, topping 100 million views for a music video 10 days after its release. The music video for “Ddu-du Ddu-du,” the lead track on the group’s latest EP, set the record at around 11:45 p.m. Monday. The EP, “Square Up,” was released on June 15, 6 p.m.
No other South Korean girl group has garnered 100 million views within 10 days of a release. 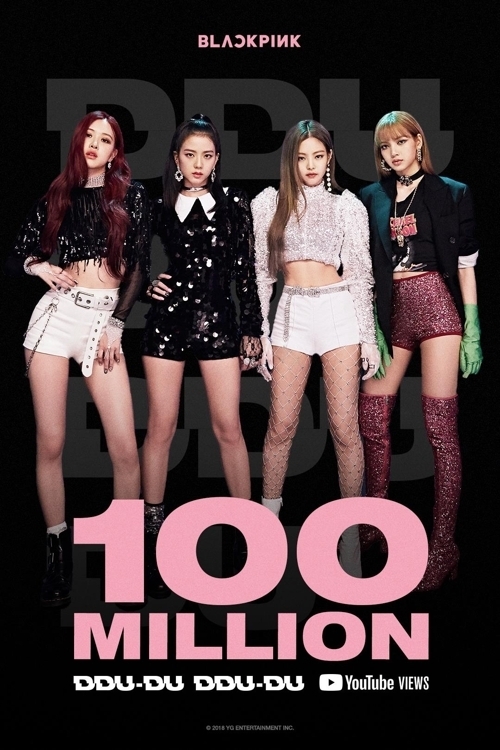 With this new record, every music video released by Black Pink now has more than 100 million views.